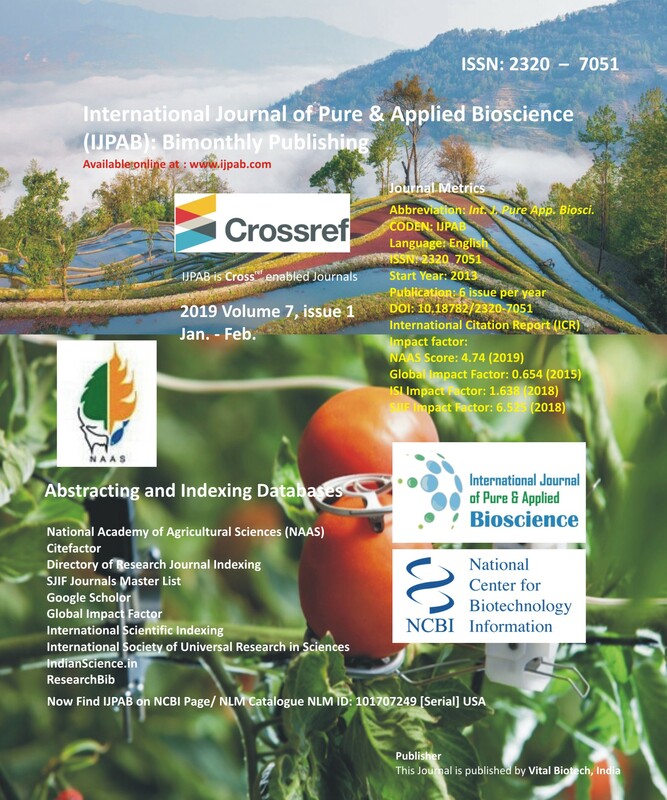 Harish D.*, T. H. Gowda and Pradeep P.
The present investigation is carried out to study character association and path analysis for 100 rice (Oryza sativa L.) genotypes in hill zone. Character association for yield attributing traits revealed significantly positive association of grain yield per plant with days to 50 per cent flowering, days to maturity, number of tillers per plant, number of productive tillers per plant, number of spikelets per panicle, number of grains per panicle, straw yield per plant and harvest index. Hence, selection for these traits can improve yield. Path coefficient analysis revealed that days to 50 per cent flowering, number of productive tillers per plant, number of grains per panicle, straw yield per plant and harvest index exhibited positive direct effect on yield. Among these characters, days to 50 per cent flowering, number of productive tillers per plant, number of grains per panicle, straw yield per plant and harvest index possessed both positive association and high direct effects. Hence, selection for this character could bring improvement in yield and yield components.